Karin Herzog is the worldwide leader in oxygen skin care. The brand helps women all over the world restore their own youthful glow and radiance through the transformative effects of active oxygen. I was invited to discover these unique qualities of the Karin Herzog skincare philosophy. I loved trying Oxygen Sun, and now I had the chance to try Oxygen Body. How does it work? This dual action body moisturizer contains 1% active oxygen and mild fruit acids to effectively remove dull skin cells while dehydrating, softening and toning the skin. Oxygen Body is enhanced with natural fruit oils. This body moisturizer is a mild antiseptic, helping to combat bacteria below the surface of the skin and reducing breakouts. 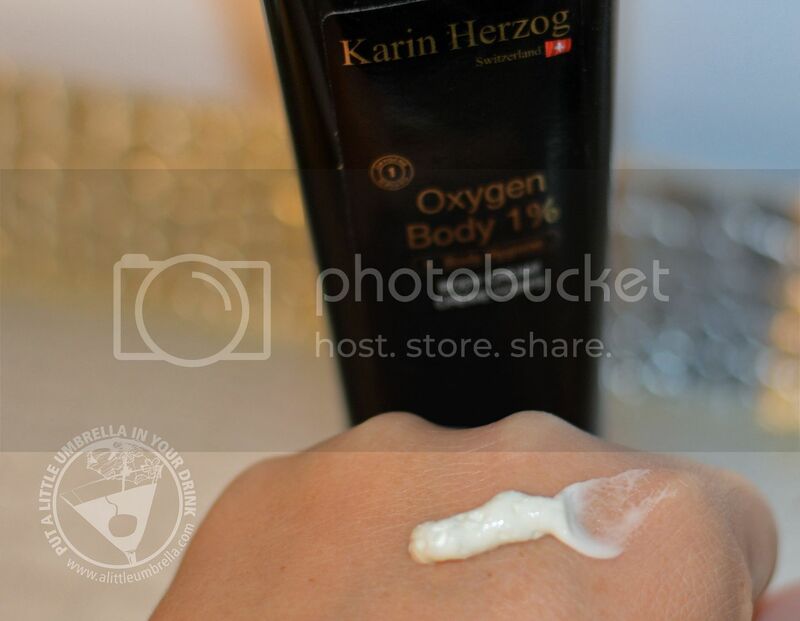 To use Karin Herzog’s Oxygen Body, apply a thin film to the body without massaging it into the skin and allow to penetrate fully or, if preferred, remove after five minutes with a tissue or in the shower. Apply daily, before or after a shower/ bath. For best results, apply with a brush in order to avoid absorption of active ingredients through the fingertips. 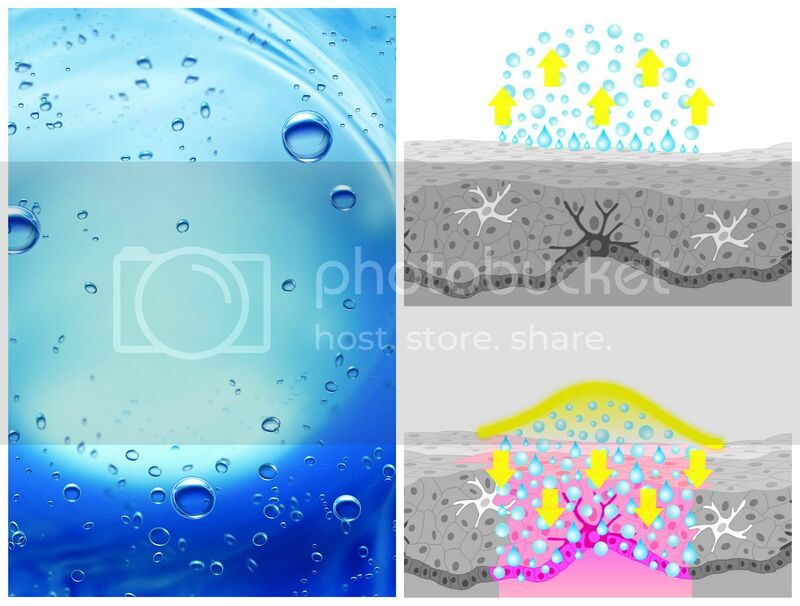 Oxygen Body is a great option for the cold months because it leaves skin smooth and soft with long lasting hydration. I was very surprised to discover that due to the antiseptic properties of the oxygen, the product can be used as a hand sanitizer and as a spot treatment to prevent breakouts in areas of the body prone to impurities! Bonus! 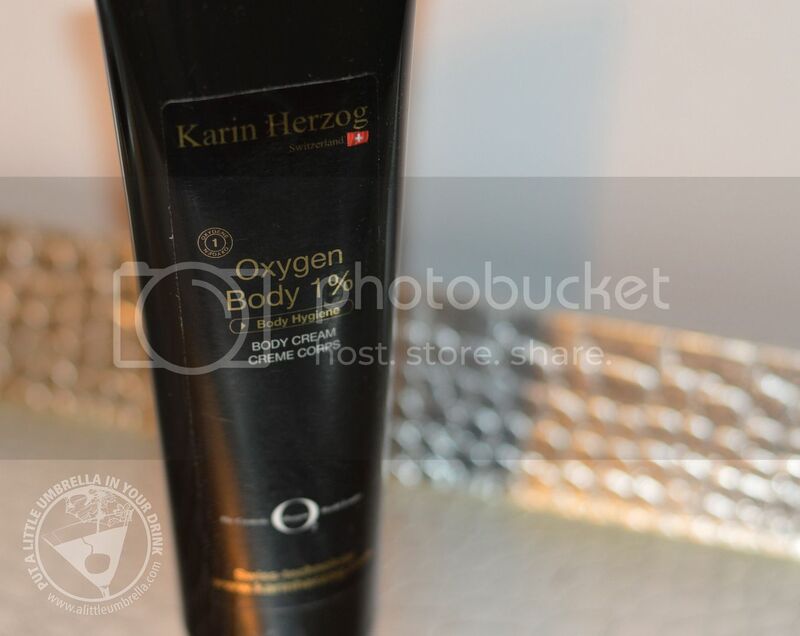 Buy It :: You can purchase Oxygen Body via the Karin Herzog online store for $55.